Need boiler repairs in London in a hurry? No problem at all – At Homecure we’ve got you covered! There’s never a convenient time for your boiler to break down, and sods law dictates that it’ll probably happen at the worst possible moment. If you’re in desperate need of a reliable team of plumbers and boiler engineers that can come out and fix your boiler, be sure to call us right away. We offer a quality, professional service and will do everything in our power to diagnose and rectify the problem with your boiler as quickly as possible. Going by previous form Homecure will have you back up and enjoying the warmth in no time at all. Emergency boiler repairs from accredited plumbers in the London area. 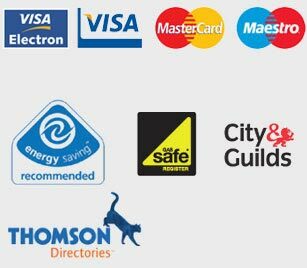 Our plumbers are all Gas Safe registered and City & Guilds We understand it’s important for our customers to be reassured that the job is being carried out safely and to appropriate standards by a certified engineer – it’s important for us too. Homecure is legally responsible for all work carried out by its engineers and as such has a vigorous recruitment policy. Not only are our plumbers fully certified, they are also the best in the business! We are very familiar with all varieties of boiler brands. These include: Vaillant, Worcester, Bosch, Potterton, Baxi, Alpha boilers, Vokera and many more besides. We carry out same day repairs / replacement of parts. Whether it be a fan, a diverter valve or an air pressure switch which needs replacing, our engineers always arrive prepared with a fully stocked van. 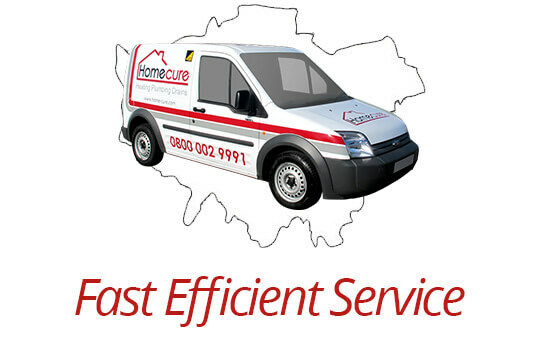 We operate throughout London, Greater London and the Home Counties. No matter where you are, Homecure will come out to you. Our emergency Gas Safe plumbers are available at short notice. If you need an emergency boiler repair we aim to be with you in under an hour. And remember, it’s not only boiler repairs that we offer. Alongside an emergency plumbing 24 hour call-out service we also provide a power flushing service and central heating repairs and maintenance. If your central heating system or boiler is less efficient than it should be, it is maybe suffering from a blockage or a build up of sludge. If so, we can help. 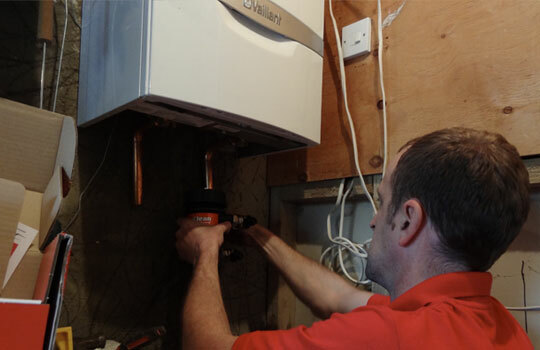 Our multi-skilled engineers also carry out boiler installations. If your old boiler has given up the ghost, or you’ve decided to upgrade to something a little more efficient, make sure we’re the first people you call. We’ll install your new boiler with minimal fuss and at a price that’s favourable to your pocket. Contact our team of London-based plumbers today! There’s no time like the present to contact our team of professional Gas Safe plumbers. Just pick up the phone and call us today – we’d be only too pleased to hear from you. And the sooner you call, the sooner one of our plumbers can be on their way to assist you.